The attorneys at McNamara Phelan McSteen, LLC pride themselves on aggressively representing our clients; the everyday people who work hard and raise families in our community. With over 150 years of experience in virtually every area of law, we stand ready to advocate for you. If you or a member of your family has been injured as a result of someone else&apos;s negligence or wrongdoing, we will help you obtain full and fair compensation for your losses. If you have been injured in the course of your employment, we will help you secure the maximum benefits available through Workers&apos; Compensation insurance, including compensation for any permanent disability. Regardless of when or how you became disabled, we can help you obtain Social Security Disability benefits, particularly if your initial application was denied. If you or a member of your family has been arrested for a crime such as DUI, theft, or drug possession, we will safeguard your constitutional rights and put forth an aggressive defense to achieve a desirable outcome for you. We are committed to helping you reach an amicable and equitable settlement in disputes regarding division of property, spousal maintenance, child support, allocation of parenting responsibilities, and other matters of family law. The attorneys of McNamara Phelan McSteen are dedicated to providing aggressive legal representation to the everyday people who work hard and raise families in our community. We provide a range of legal services focused on ensuring the wellbeing and financial security of you and your family. You can depend on us to guide you through difficult situations involving personal injury and disability, divorce, criminal charges, employment discrimination or harassment, real estate transactions and disputes, and other matters of civil and family law. McNamara Phelan McSteen, LLC has held a distinguished reputation in the field of personal injury law for over 20 years. We have obtained millions of dollars in compensation for clients who have been seriously injured in highway crashes involving large commercial trucks and semitrailers. You can count on us to advocate aggressively on your behalf and persistently drive your case forward until we obtain the maximum possible financial award for you. If you have suffered an on-the-job injury you may be entitled to substantial benefits through your employer&apos;s Workers&apos; Compensation insurance. McNamara Phelan McSteen, LLC has helped hundreds of clients over the past 20 years obtain full and fair compensation for all of the damages they have suffered. When you or a loved one has been arrested, even for a seemingly minor offense, it is crucial to put up a strong defense to protect your family and your future. 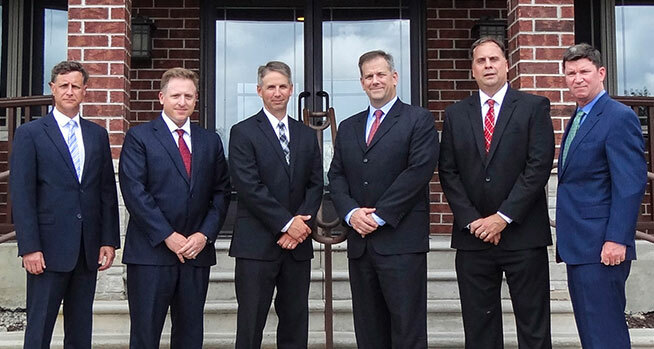 At McNamara, Phelan, McSteen, you will find a team of strong, seasoned attorneys who have been working in the Will County criminal justice system for decades. You can rely on us to safeguard your constitutional rights and aggressively pursue the best possible outcome for your case. We have an outstanding record of obtaining Social Security Disability and Supplemental Security Income benefits for clients who cannot work due to a disabling illness or injury. If your initial application for benefits was denied, there is a very good chance that we can be successful in appealing your case, and you pay no attorney fees unless your benefits are approved. If you are approaching a major life change due to marriage, divorce, or a paternity claim, you can rely on us to help you make wise decisions for your future and your family. We are dedicated to providing sound legal and financial advice that helps you resolve family disputes without destroying your family while at the same time looking out for your long-term financial security.